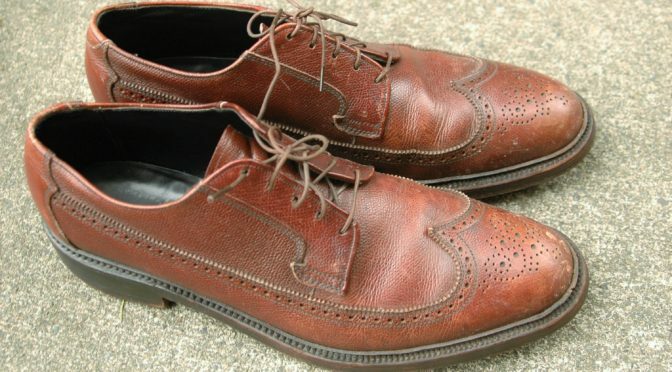 While we in the USA all obsess (and riot), about who will be the next President (Game of Thrones can barely compete with Trump/Clinton/Sanders), I am keeping myself focused on an even more important topic – vintage men’s shoes. 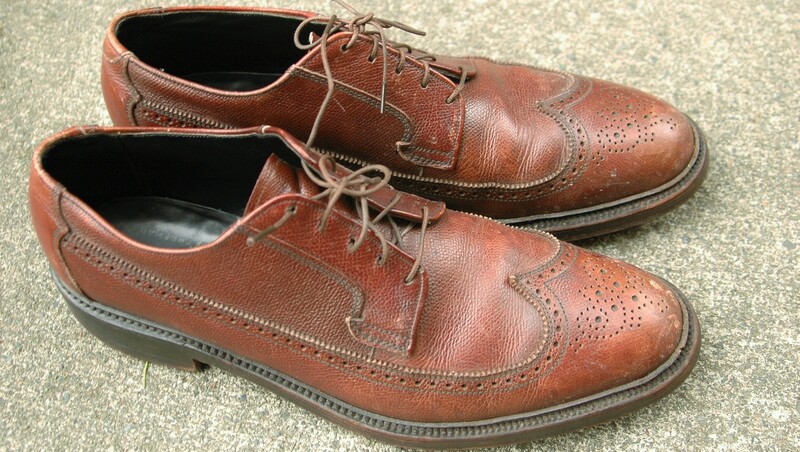 I recently acquired a pair of Freeman shoes from (surprise) eBay. It’s my first pair manufactured by Freeman Shoes and I bought them because I was curious about the brand and quality. Freeman Shoes was headquartered in Beloit, Wisconsin. They were a family owned business until US Shoe Corp bought them in 1966. The shoes were manufactured in Beloit and a couple other factories in the United States. US Shoe Corp also owned French Shriner and later bought the remaining assets of Syracuse based Nettleton in 1985 (strangely Nettleton shoes were manufactured in Beloit in the late 1980s). 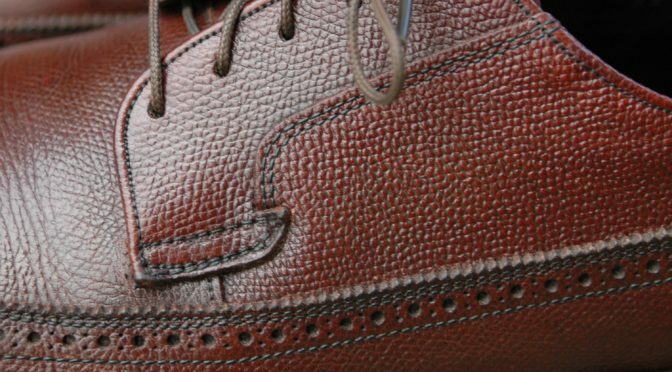 Like many of their US based competitors, Freeman Shoes struggled in the 1980s due to cheaper imports and changing fashion tastes. The end of the line came in 1992 as the factories and brands were liquidated. Freeman Shoes, RIP. Below are some photos of how the eBay shoes looked when they arrived. Not too shabby. 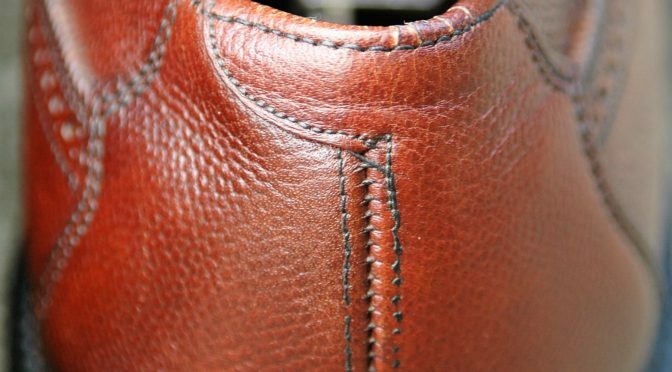 The leather was dry and they needed some polish but the shoes had minimal creasing, no deep scuffs and the soles were in good shape. As I usually do with a shoe restore, I started with a good brushing and a wipe down using a damp cloth. The welt got a long brushing because of years of dusk buildup. I followed that with a cleaning using Lexol Leather Cleaner and then conditioned them with Lexol NF Neatsfoot Leather Conditioner. 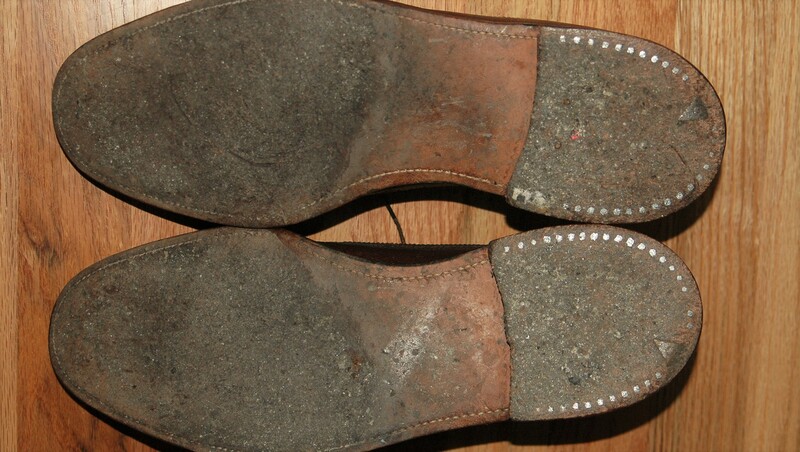 This is the cleaned and conditioned shoe. Just these basic steps made a noticeable improvement in the shoes. Later in the week, I gave them back a bit of color using Allen Edmonds Light Brown Shoe Cream. I then used two rounds of Allen Edmonds Walnut Premium Shoe Polish and called the upper good. 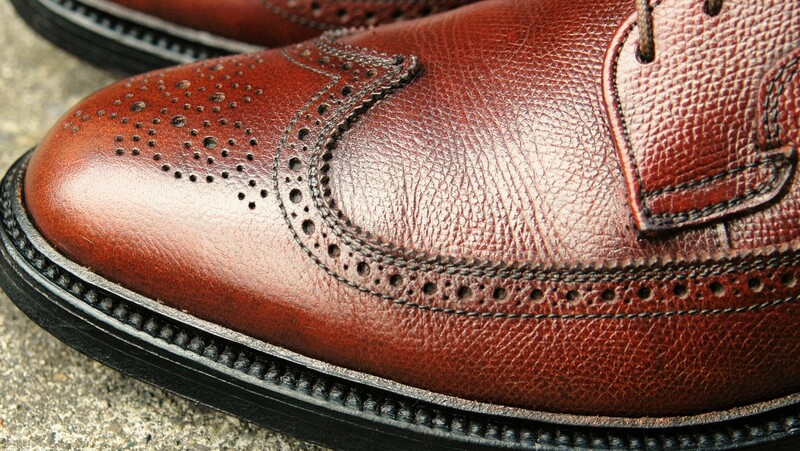 They were edged with Lincoln Black Sole and Heel Edge to finish them up. Here are the completed shoes. I am not sure what year the shoes were made but their style looks like the 1960s. 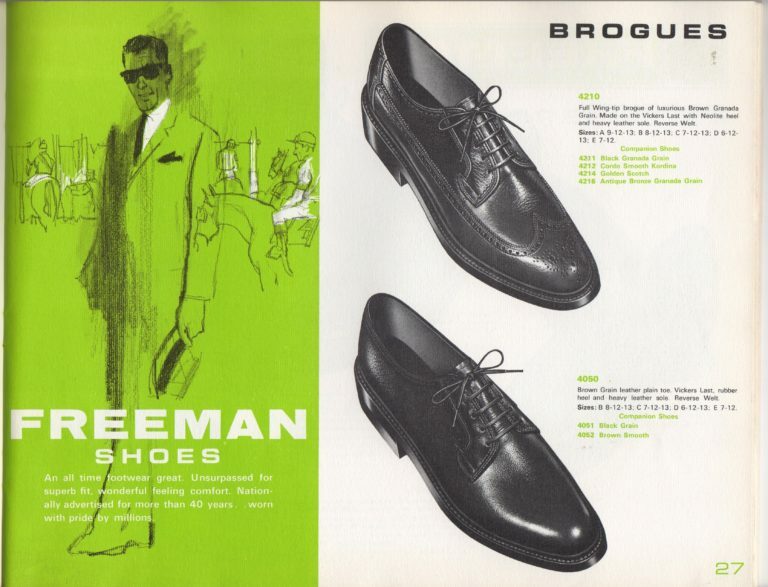 I have an old Freeman Shoe Catalog from 1965 and it lists a similar looking shoe but with a different model number. The also catalog lists “Bootmaker Guild” as one of Freeman’s premium line of shoes. Their top of the line was called “Bootmaker Guild 800”. I will scan and post the catalog in the future. The shoe construction is very good and these shoes are comparable in quality to many of the shoes in that era. 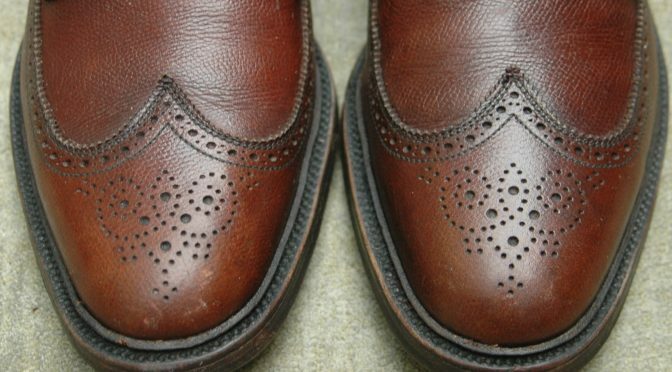 Are they better than a 1960’s Florsheim Imperials? No, but they are an all leather shoe and fully leather lined. 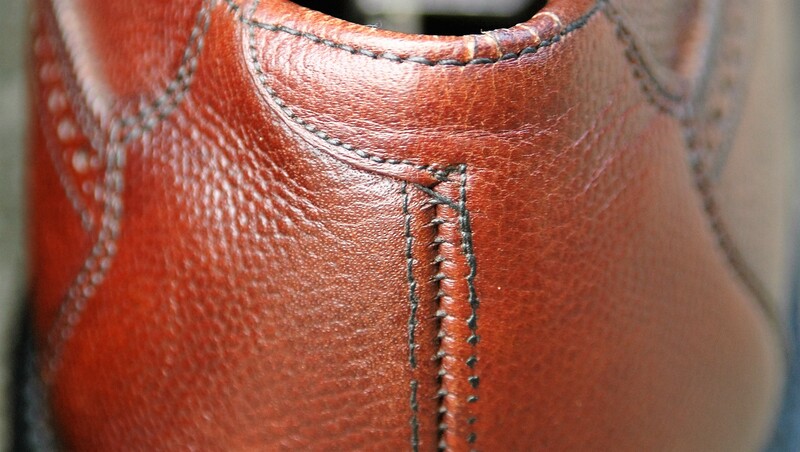 They have some flare near the heel and if you look at how the shoe quarter’s leather is stitched together, it’s a like a leather jigsaw puzzle. I have worn them around Seattle and I would say they run true to size. Maybe a bit narrow. I searched eBay for “Freeman Bootmaker” and it returned just three listings. So this is an uncommon shoe line if you need a pair. And I think you might. I thrifted a pair of Freeman’s today (I think). I can just make out Bookmaker (in script), and below it BY FRE. They’re PTB’s, in burgundy shell. No size, but I’m guessing 9.5-10. The soles have Genuine Shell Cordovan imprinted, and V-cleat heals. Can I send you a few pictures to see what you think? You can send me some photos at david at vcleat dot com. David, did you ever find the time to scan that Freeman Catalog? 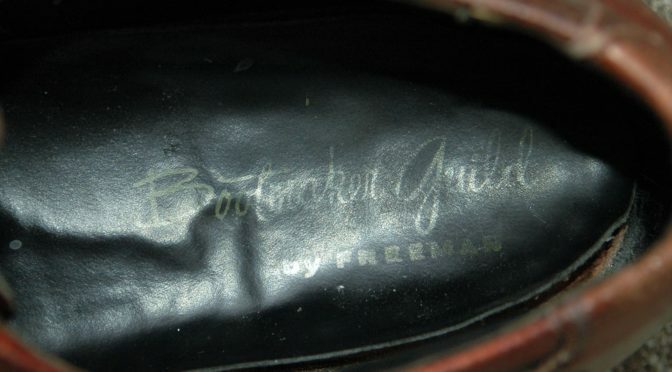 I ask because I just bought (on eBay) a “worn twice” pair of Freemans in genuine sharkskin – not the Bootmaker Guild line but the (lesser quality, I believe) “Free-Flex” line. 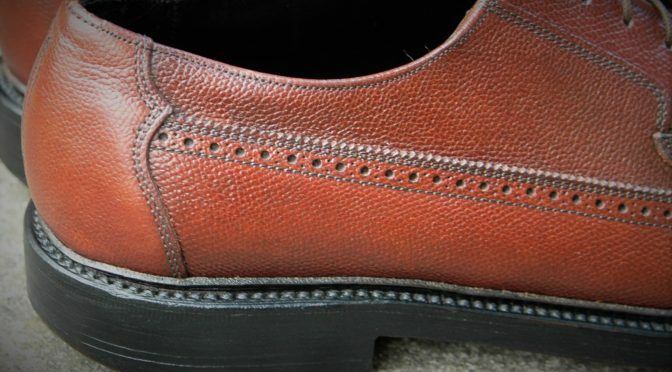 The odd thing about the vintage Free-Flex shoes is they appear to have the sole stitch in a closed channel, which I only thought that was done on very top-line shoes. 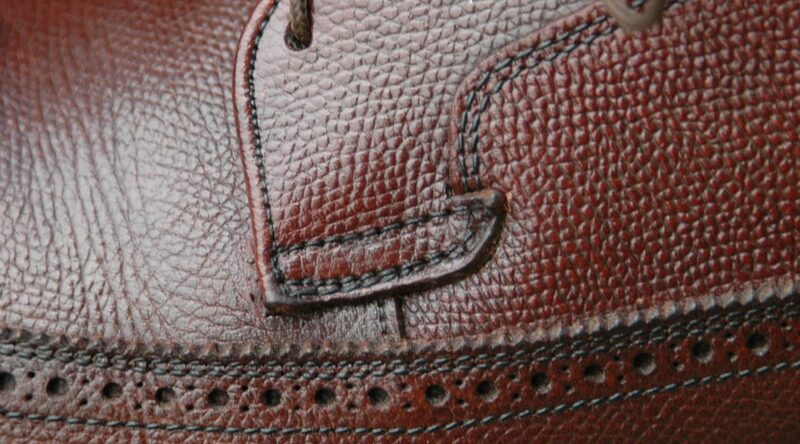 I will get the shoes in a week and will be able to experience the sharkskin (a nice medium brown and very dark brown color variation in the “hills & valleys’). I will also get the model number, which was not shown in the eBay photos. Thanks for any help you can provide to place them in time. 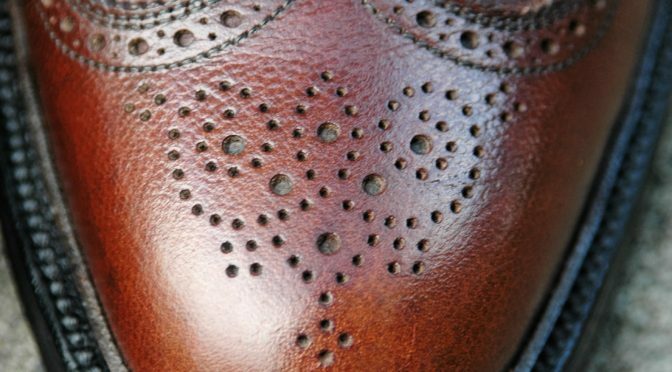 These shoes have a 360 degree storm welt. 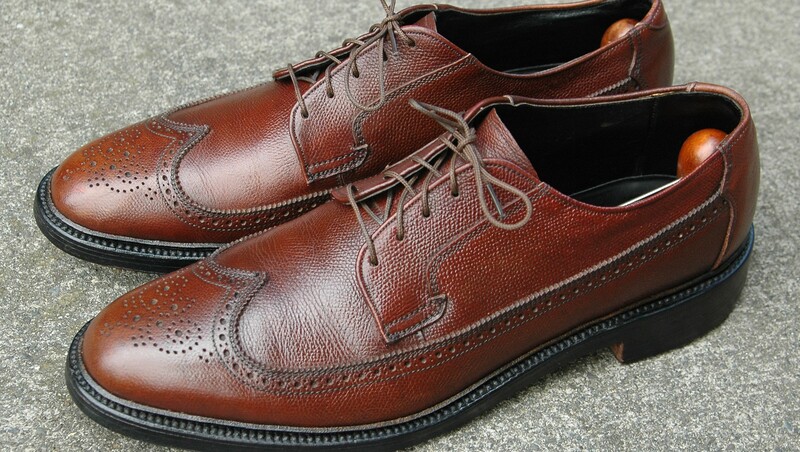 btw, and they are a long wing blucher style. Thanks. Good luck with your restoration work!